The Torqeedo Travel 1003 and its new-for 2019 sister the 1103 C (NOW IN STOCK) are amongst the most advanced small portable outboards in the world. We think they’re excellent but we do also know and understand their limitations; this page is not the usual re-quoted manufacturer blurb you’ll find elsewhere. And there is no point trying to hide the fact that Torqeedo no longer have this market to themselves; if you have not already seen it please also read our Epropulsion Spirit motor page. 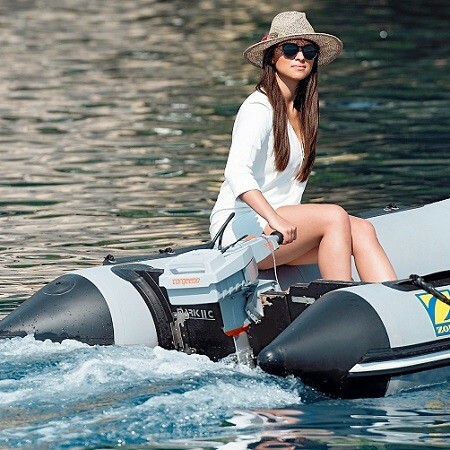 Both manufacturers make 1kW electric outboards, roughly equivalent to 3hp petrol motors, with lithium battery packs where you’d expect to find the fuel tank. But much easier to use, quieter, cleaner and easier to store. The advantages are so significant that it’s now difficult to think of a reason to buy a small petrol motor. As of April 2019 we are still the only UK Dealer to stock and sell both Torqeedo and Epropulsion. There are many similarities between the two, and some important differences. We’ve used the three main models – Torqeedo 1003 & 1103, Epropulsion Spirit – and it’s only by stocking both brands we believe we can listen to you and recommend the one that will suit you best (rather than being a single brand dealer and forced to try and sell you that one). – High Power, 1000W. (1100W for the new 1103.) 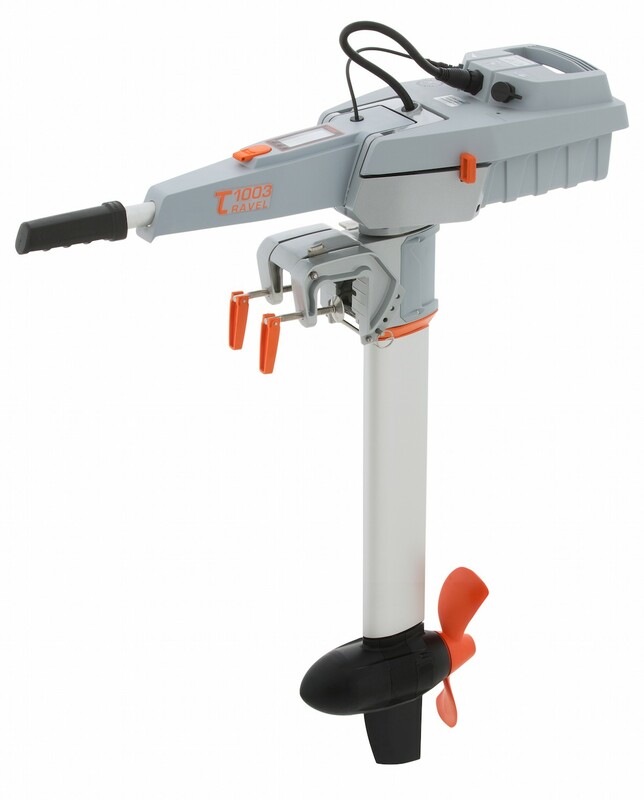 Apart from the Epropulsions, almost all other portable electric outboards are classed as “trolling motors”. – VERY EASY to Use.Twist and go; no messing with a choke, pulling starting cord, or spilling petrol, etc. – LIGHTWEIGHT. Total weight for the 1003 is approx 14kg, and it dismantles quickly into 3 pieces, of which the heaviest (the main shaft/motor assembly) is only 9kg (11kg for the 1103C). – IP67 Waterproof, so even if you submerse them (up to 1m) they still work. Yes we’ve tried it. Brilliant for use on small boats! – QUIET! The standard 1003 is not silent (the Epropulsion Spirit is quieter), but much quieter than a petrol motor. The new 1103 is quietest of them all; at 33db roughly equivalent to a human whisper (effectively silent in water). – Integral Battery, much like the fuel tank on a small petrol outboard. * See notes on specification changes lower down page. These are quite significant, and because we have fast turnover all our current stock is March 2019 or newer. If you’re considering purchase elsewhere simply ask for the manufacturing date. If you see a better price for the same product – ie current model, current battery of same capacity – please call us and we’ll see what we can do. The battery size is often a cause of confusion, but if you want the higher capacity versions they will be more expensive. For example at Southampton Boat Show last year a Torqeedo 1003 was being offered by one dealer with a 320Wh battery (normally only supplied with smaller motors); thus the “headline price” was very low but we’re not sure everyone was being made aware that with the 320Wh battery the run time on full power is less than 20 minutes! Also note, if you are thinking about “taking a Torqeedo with you” that lithium batteries of this size absolutely cannot be flown in passenger baggage (neither in hold nor as carry-on). 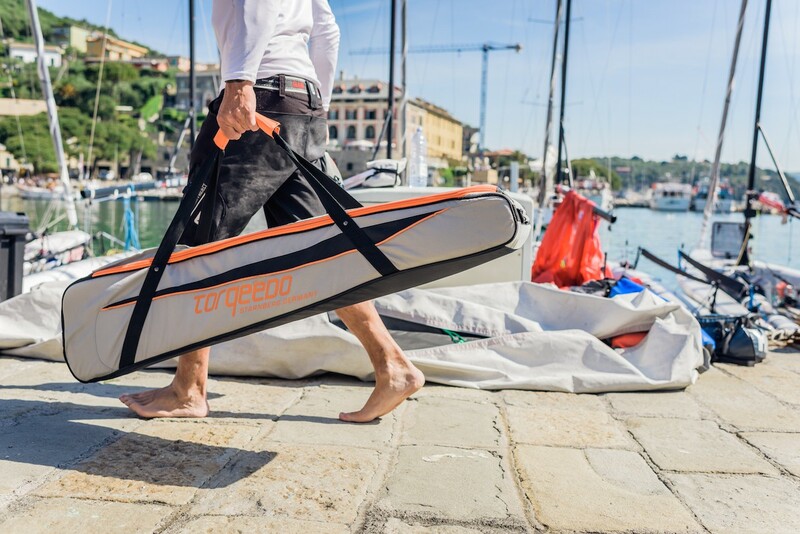 If you contact us you will be able to speak to somebody who has actually used a Torqeedo on the water, and can give genuine, useful (realistic!) advice about battery life, range, and whether your particular boat is suited to electric drive. If you are told the battery lasts 10 hours and the motor is equivalent to a 5hp petrol put the phone down – they either don’t understand the product or are lying! (2) The 2015-onward model also ships with a USB adapter which means you can use the Torqeedo battery as a supply for your phone, camera, navigation light, etc whilst on the move. It’s a very simple, innocuous looking thing but cannot be retro-fitted to older batteries. (3) October 2016 – you can now buy the new high capacity battery (915Wh, vs standard battery 532Wh) packaged with the 1003 (standard with the 1103). Previously it was only (officially) available as an extra, ie you had to buy the high capacity battery as an extra. Order ref for the 1003 with 932Wh battery is 1003CS (or L for long shaft). 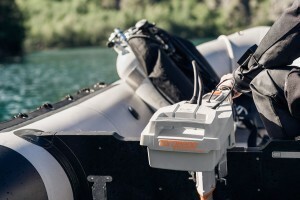 There have been many other changes over the years to the 1003: increased battery capacity, improved software, and a beefed-up transom clamp design. But current 2019 models have all those, AND a battery that can be charged in just 7 hrs (532Wh version), AND now the option to have a battery with 70% more capacity. If you are looking at a “secondhand Torqeedo bargain on ebay”, bear these differences in mind – and in particular find out when it was made and which battery it has! If say it’s a 2013 520Wh battery then yes, it should still work fine, but by now (in 2019) it will only have about 400Wh capacity – because (like all batteries) they “lose” roughly 4% a year – and it will be the older, slower charging, variety. (1) The new 1103 has a direct-drive brushless DC motor (more like, dare we say it, the Epropulsion! ), whereas the 1003 has a faster-spinning AC motor with a reduction gearbox. The 1103 is therefore much quieter, with more instantaneous throttle response. We have now tested one on a boat and the noise of the water splashing on the hull as we drove forward was louder than the motor! To all intents and purposes therefore, it is silent. We are also told the software on the 1103 is less prone to being over-protective than the 1003, probably because it doesn’t have a gearbox to protect, and thus far this seems to be the case. (2) It’s an 1100W motor rather than a 1000W motor (10% more power). (5) It’s only officially offered with the 915Wh battery, although we can probably swap out to the 532Wh battery (with corresponding reduction in cost) if you’d prefer that option. We placed a forward order for 1103C motors as soon as we heard about them and so far as we know are the first to have them in the UK (19 March 2019). If previous Torqeedo new product releases are a guide to this one, then it will almost certainly go out of stock very quickly… don’t delay! UPDATE 31 Jan 2019: The new 1103C was on display at Dusseldorf Boat Show last week, so we have now seen and touched one, although not used one on the back of a boat yet. It certainly seemed very quiet, with instantaneous throttle response and a much-improved clamp bracket. It all seemed very well-engineered, and the changes underneath are much more than the looks would suggest. The only downside we could see, affecting a small percentage of customers, is that the motor housing bulb (at bottom of shaft) is quite noticeably longer than either the Torqeedo1003 or the Epropulsion Spirit. If you want to install it in an outboard “well”, this dimension may be important. UPDATE 04 Feb 2019: Size of bulb (motor housing) for the 1103 is 323mm long (280 for 1003, 254mm for Epropulsion Spirit), diameter 124mm (110 for 1003, 108 for Spirit). UPDATE 19 Mar 2019: We now have the 1103CS in stock, 1103CL to follow soon. We have often heard of people being told the 1003 is equivalent to a 3hp petrol outboard (and the 503 to 1.5hp). Indeed the Torqeedo brochure says that! 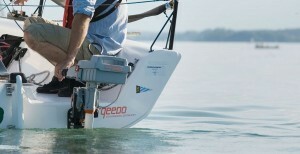 We consider that to be a misleading comparison, as a 3hp petrol motor will get many small, lightly loaded craft of the right hull form “on the plane”, and a Torqeedo 1003 won’t. The propeller supplied is not even designed for that sort of speed (it’s rated 9kmph at 790W, or about 6 knots flat out). Where the Torqeedo excels is pushing surprisingly heavy loads (when the 3hp petrol wouldn’t get you on the plane anyway) at up-to-displacement speeds. 4 to 5 knots in a typical 9ft inflatable dinghy, for example. The acceleration up to those speeds is also impressive, as electric motors (unlike petrol ones) generate full torque from very low revs. So the Torqeedo 1003 has lots of low to mid-range push, but not the whizzy top end of a petrol. Unlike “trolling motors” it will be genuinely useful as a main propulsion unit – just not for anything much over 6 knots (12kmph). 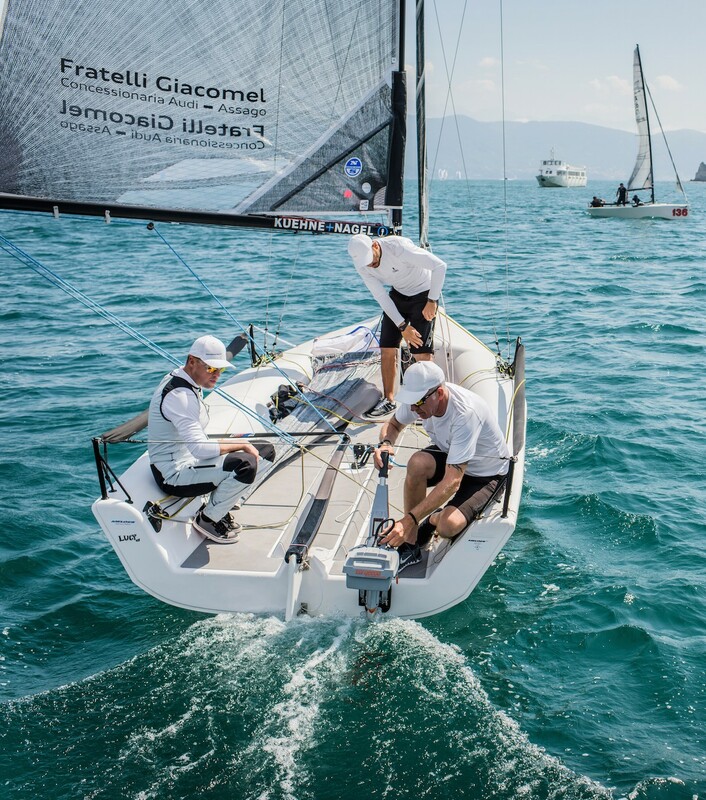 The new 1103 is 10% more powerful but Torqeedo’s specification and our own trials on a dinghy do not suggest any great increase in speed, which would make sense. 100W is important at the bottom end, whereas 100W more when you have 1000W already doesn’t make all that much difference (10% more power might equate to a 2.5% increase in speed, barely measurable). But we’d guess it’s more able to get heavier loads to speed more quickly. It also has a different propeller, beefed up internally with a much stronger shear/drive pin. The battery supplied with the 2015-on model standard Torqeedo 1003 (S or L) is 532 Watt hours (approx 18 amp hours at 29.6 volts). This means you should get 35 minutes running the 1003 flat-out. BUT, in most typical small boat applications, half-power on the 1003 isn’t much slower than full power – and then it will last about an hour. And only a bit less throttle suddenly means you’ve got 90mins to two hours. Whilst that is not enough for everybody it is enough for a lot of users, if you think about how you actually use it. If you don’t think that’s sufficient, Torqeedo also offer a 915Wh battery (standard with the new 1103). That’s a 70% increase in capacity – yet still in the same-size casing! RRP on these is £749, we are offering at £675. The next obvious question if you need the extra capacity is “can I buy the 1003 with a 915Wh battery instead then?” Well, yes, we offered that option from the start and since October 2017 Torqeedo made it an official product as well; the product code is 1003C (suffixed S or L) and our price is £1540 (£1590 for the L). With the new 2015 faster-charging battery (or optional fast charger for older batteries), putting some of the charge back while, say, you’re at the pub, may be an option too. As battery life is usually the main worry for those new to electric power, the digital display is very reassuring. Range is inversely related to speed, so if you have further to go than currently indicated, simply slow down until the range increases to the required distance. As a further precaution an alarm sounds as you pass below 30% capacity, with the display flashing a recommendation to slow down. Because they are lithium manganese based, the full capacity can be used without detriment to the battery lifetime (unlike lead acid batteries, which dislike being discharged more than 40-50%). For spare batteries and parts see Torqeedo Accessories. A mains charger is included in the price of the Torqeedo 503/1003, and for the 532Wh capacity batteries (since 2015) this will take approx 7 hours to recharge a fully discharged battery. And about 10 hours for the 916Wh battery. As standard the mains charger comes with Euro and USA plugs; you will need a UK adapter (and in fact we supply one but it is not in the box as standard). It is also possible to charge direct from a 12volt source such as your car or boat battery – eg while you’re driving to your yacht, or overnight at a camp site. A 12V lead is not included and for years we made one ourselves, but in 2015 Torqeedo finally announced their own. 12V charging is about half the speed of the mains charger. For the technically (and/or battery charge conservation)-minded, the “DC to DC” charging lead is more energy efficient than converting 12volts DC to 240volt AC – via an inverter – then back to DC again via the mains charging lead (which is nonetheless another possibility, and faster). The 12volt lead also potentially provides a cheaper (than buying a second Torqeedo battery) “range extending system”, because the Torqeedo battery has separate charge and discharge circuits – it can do both at the same time. For example we’ve had an 18ft dayboat with a Torqeedo 1003S in the outboard well, and a fairly large (110 amp hour) 12volt battery where the fuel tank would normally go. 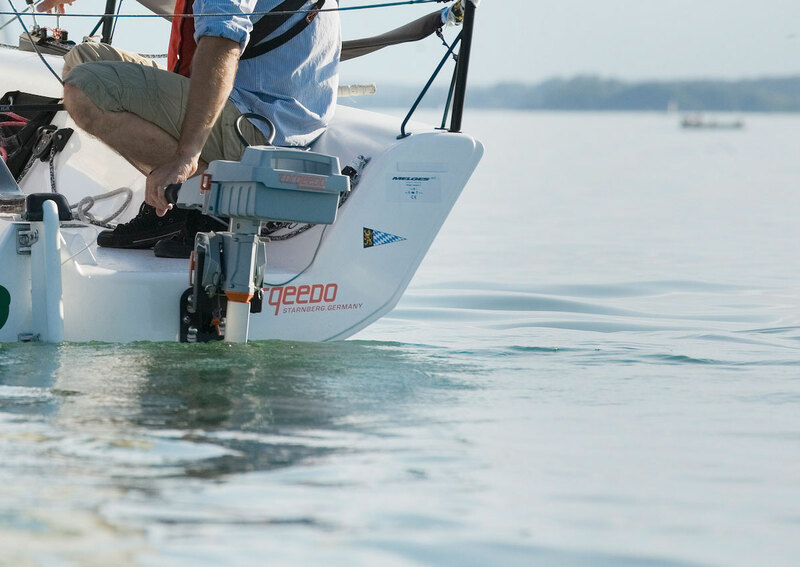 With the two connected you slow the rate of discharge from the Torqeedo battery when in operation, and charge up the Torqeedo battery when sailing or stopped (or operating at very slow speeds). If charging speed is important to you the Epropulsion batteries can be charged more quickly on both mains and 12V, and there is an ultra fast (2.5hrs) mains option. For more charging options and spares see Torqeedo Accessories. 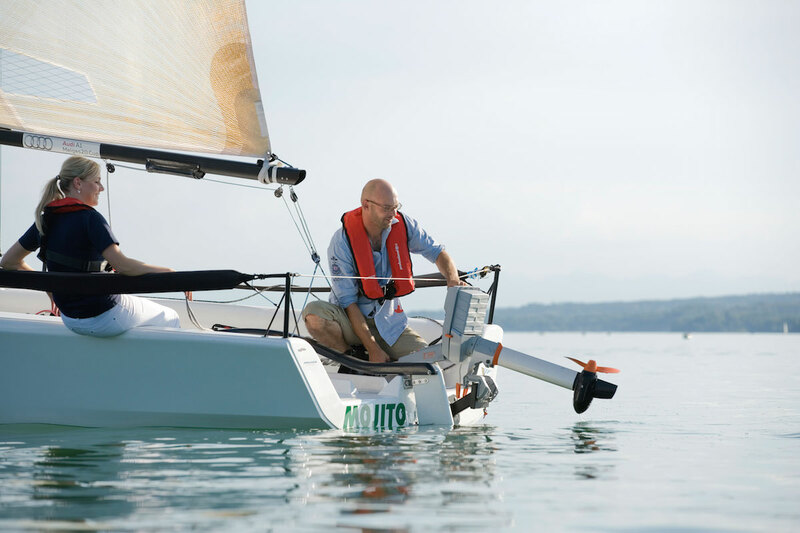 Perfect for use on a dayboat or dinghy – even if you capsize whilst sailing the motor will still work afterwards, to get you home (when you’re cold and and wet and have had enough!). 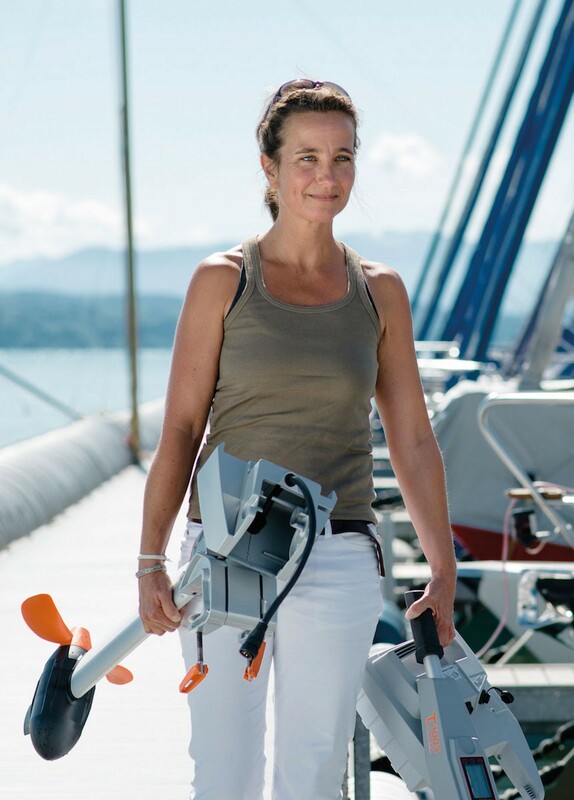 And with the 4 or 6kg (depending on model) battery taken off (which can then be stored anywhere convenient) what’s left is lighter than any petrol outboard on the market today (about 9kg for the 1003, 11kg for the new 1103), so will have less effect on your boat’s fore/aft trim. 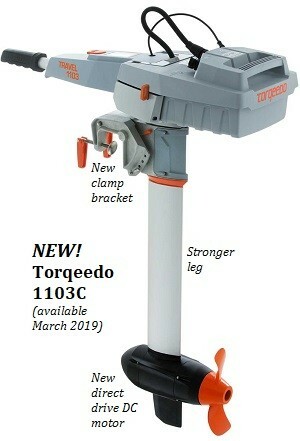 All Torqeedo Travel motors (1103, 1003 and 503) have an easy-to-remove battery and tiller, making handling much easier. The 1003S with 532Wh battery weighs approx 30-lb (14kg) in total, of which 10-lb (5kg) is the battery, so you only ever need to manhandle 20-lb (9kg) at once. The higher capacity 916Wh battery is about 2kg heavier, and the motor/shaft assembly of the new 1103 is also about 2kg heavier than the 1003. Also, unlike (four stroke) petrol motors, you don’t have to worry about laying them down on one side, or getting them wet, which makes storage straightforward. Torqeedo now offer a set of bags for storing and carrying your 1003 or 1103 motor. Well in fact two bags, one for the motor and one for the battery – so if you have two batteries there’s a nice protective bag to keep the spare in whilst underway. Very well made and proving very popular. 1. Integrated GPS/information system: provides precise real-time information on battery charge status, remaining range at current speed, speed over ground and power consumption. 2. Improved mechanical stability, ruggedness and suitability for salt water use. 3. 20% higher power and approx. 10% higher efficiency, noiseless design. 7. Can be solar-charged during operation. 9. Fully waterproof design, IP67 (submersible one hour, up to one metre deep without any harm). 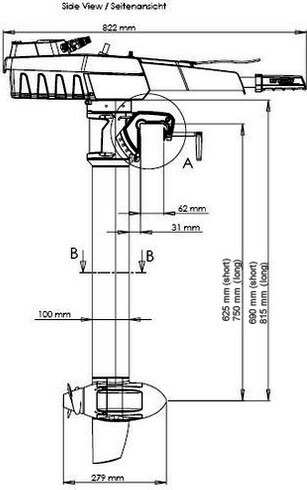 The Torqeedo 1103,1003 and 503 motors are available in two shaft lengths, Standard or Long. Precise dimensions are shown below. 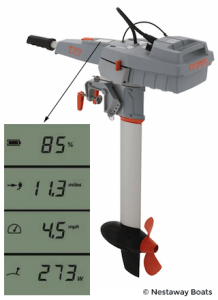 The reason the Torqeedo shafts are a little longer than “normal” is that the propellers have a larger diameter than those on petrol outboards, and to work efficiently a propeller needs to operate in non-turbulent water (ie well below the surface and ideally below the boat’s hull). A larger propeller has to sit deeper, to be immersed. 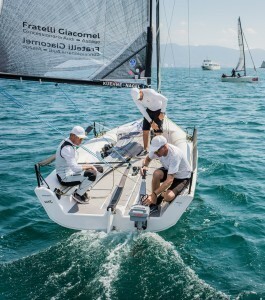 On the rival Epropulsion Spirit there are three shaft sizes; they also offer an “XS” (Extra Short) which suits most small inflatable dinghies fine and means you don’t have to tilt it up as early when coming into land on a slipway or beach. WHICH MODEL – Torqeedo Travel 503 or 1003 or 1103? We are happy to supply a 503 but in our opinion this model doesn’t make much sense… the 1003 and 1103 ship with a higher capacity battery as standard, and when you’ve taken the price differential of the battery into account the extra cost of the 1003 is negligible. It will use the same power at the same speed as the 503, but has a higher top end when you need it. At all meaningful levels of accuracy, they weigh the same (the 1003 battery is to be fair slightly heavier). You may have noticed there is a lot of information on our site that you won’t find elsewhere. 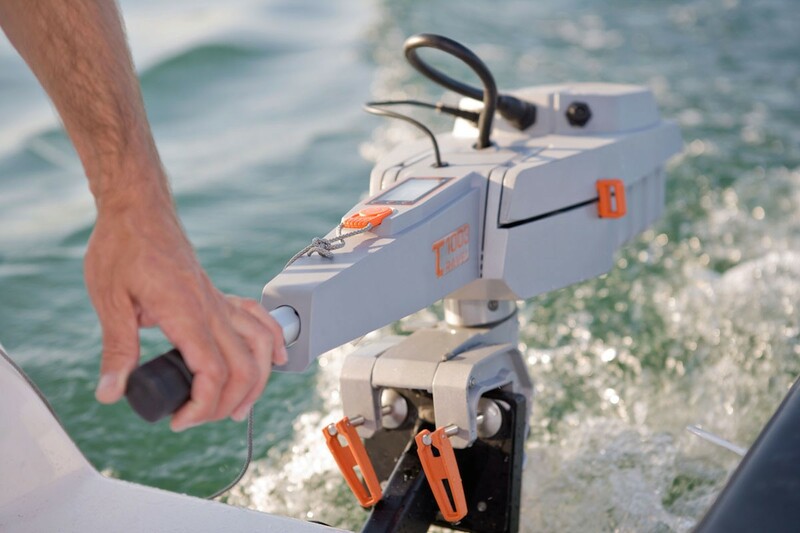 That’s because we are great fans of the Torqeedo 1003, believe we are likely to become even bigger fans of the new 1103, and use electric outboards a lot ourselves, of choice. We understand these motors and we also understand they don’t suit everybody. 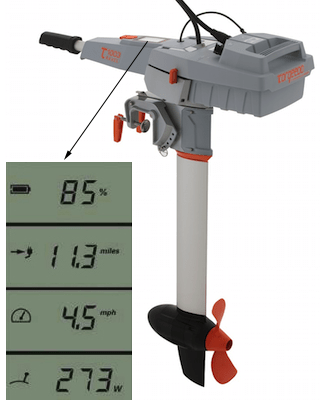 We are happy to discuss the Torqeedo motors (and your particular application) with you by email or over the phone, and can arrange an on-water demonstration if required. 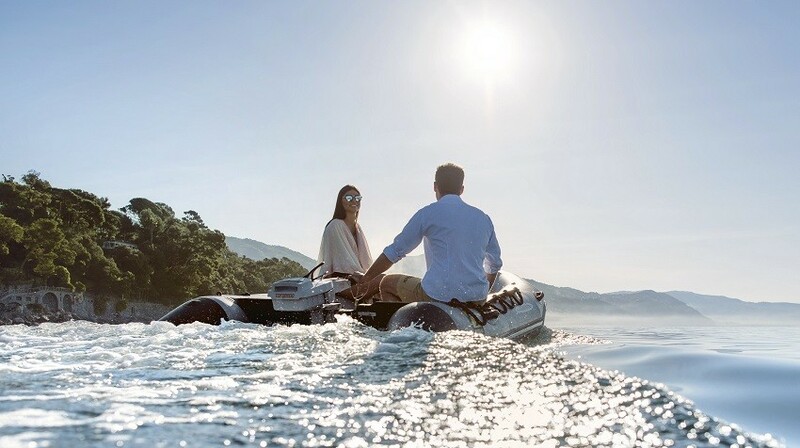 ELECTRIC OUTBOARD HOT NEWS… As of April 2019 we are still – to the best of our knowledge – the only UK Torqeedo Dealer who has stuck their neck out to stock the new rival Epropulsion Spirit 1kW electric outboards as well. There are many similarities between the two, but also some important differences. We have seen and tried both, quite extensively, and it’s only by stocking both we believe we can listen to what you want and recommend the one that will suit you better (rather than being a single brand dealer and forced to try and sell you that one). The new-for-2019 Torqeedo 1103C – which we now have in stock – makes the competition even more intense, as it has a brushless DC, gearbox-free design (more like the Epropulsion than the Torqeedo 1003).